Paying the bills is never easy and the old saying of "too much month at the end of the money" is especially terrifying when you're trying to pay off your home's mortgage. For most people, there's no expense more important than the house. This is where you live, the place where you build equity, raise a family, or even consider living out your golden years in retirement. Keeping up on the house payment is critical, but what if you are paying too much for your loan? While this sounds crazy, millions of people are doing just that, even in 2015! The benefits of refinancing a loan are simple: better interest rates mean a lower total amount will be paid over the life of the loan in addition to often offering lower monthly payments. This might seem a bit counter-intuitive at first, but it works out. Since most mortgages are 30-year loans, interest plays a huge part in both monthly payments and the total overall cost of the loan. When you refinance you re-work the loan conditions (sometimes with the same bank, sometimes with a new one) for a lower interest rate. 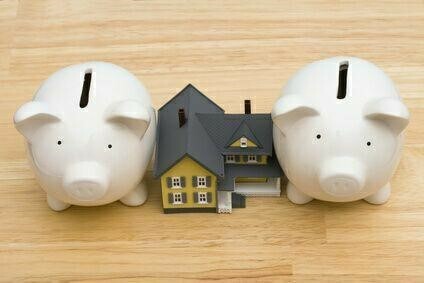 For many homeowners this is the best action they can take to save money and cut down payments over the long term. The difference between an 8% rate and a 6% rate or a 6% rate and a 4% rate over the life of a 30 year home loan can be tens of thousands of dollars or even more, depending on the original loan amount. This makes the strongest benefits two-fold in nature. Who Will Benefit from Refinancing? The most important piece of information to learn whether or not refinancing will help is what your current interest rate on your home loan is. These rates vary greatly depending on credit score as well as the general average interest rates of the market. As interest rates fall and continue to fall to near historic lows, they drag down the interest that is generally charged on home mortgage loans. According to a report released by Black Knight Financial Services, as of February 2015 there could be up to a full 7.1 million families who would end up with a lower rate if they chose to refinance. That's an awful lot of people overpaying a bill for no good reason. While the amount of savings would vary depending on the terms of the original loan and how much of the original loan is left to pay off, all families should look at the option of refinancing to see what works best for them. The study shows that the number of total candidates who could save by refinancing has raised by a full three million. There are a variety of reasons for this. Falling interest rates being kept low to aid economic recovery is the most obvious, and perhaps the most powerful reason. However, other reasons like price inflation and a glut of houses being moved via distressed sales are also important. This doesn't mean those numbers can't change quickly. The same report also stated that even a modest 50-basis-point rise in the normal interest rate could shift that number down to 4.1 million borrowers. Not every area in the United States has the same number of people who can be helped by refinancing. Florida is a state that sticks out as having a major number of potential distressed or borderline distressed properties that could be helped with a basic refinancing. A little research goes a long way to figuring out the best option that's available for homeowners, but refinancing is definitely an option everyone should at least look into.